it. We started the process of sup-       nated books. 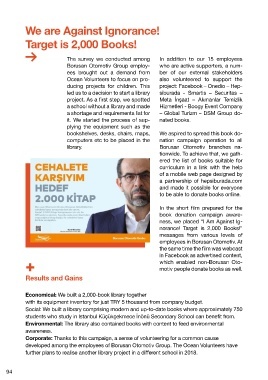 to be able to donate books online. motiv people donate books as well. with its equipment inventory for just TRY 5 thousand from company budget. students who study in Istanbul Küçükçekmece İnönü Secondary School can benefit from. further plans to realise another library project in a different school in 2018.